Houston Mechatronics Inc. (HMI), a robotics startup founded in 2014 by NASA roboticists, is designing a new generation of minimally supervised unmanned undersea vehicles (UUVs), that can work up to 3,000 meters without support vehicles. Aquanaut is their flagship project in this area. 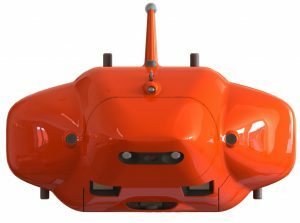 It transforms from an Autonomous Underwater Vehicle (AUV) to a Remotely Operated Vehicle (ROV) which removes the need for vessels and tethers. Finally, someone has built a real-life Transformer: it truly transforms from submarine to humanoid robot mode. It is expected to be available next year. Ackerman, E. (2018). Houston Mechatronics Raises $20M to Bring NASA Expertise to Transforming Robot Submersibles. [online] IEEE Spectrum: Technology, Engineering, and Science News. 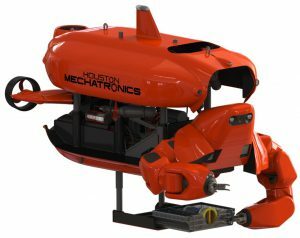 Available at: https://spectrum.ieee.org/automaton/robotics/industrial-robots/houston-mechatronics-raises-20m-to-bring-nasa-expertise-to-transforming-robot-submersibles [Accessed 30 Jun. 2018].